I must admit this article took way more time than I planned. I started writing it long ago while sitting and feeling a mild breeze, overlooking the turquoise Caribbean waves rolling in off the beach at Boca Chica, Dominican Republic (someone had to do it). Combine that with the prior day, a Sunday, dancing in the afternoon, outdoors by the ocean followed by an evening that turned into night dancing tucked away in the back of local club (local on this day takes on a whole new meaning). We were packed in this small local club/bar like sardines, hot, sweaty, dark with the DJ cranking out great bachata, merengue and a touch of salsa booming to burst one’s ear drums while being part of pounding rhythms that say nothing but “get up and move.” After a couple feet of snow shoveling back home it’s enough to make me wish I was back. Given my mind set as I started this, I decided to look at a couple of bachata albums. It’s no secret that I have an interest in the roots of music about which I continue to learn (it started with Gregorian chant). 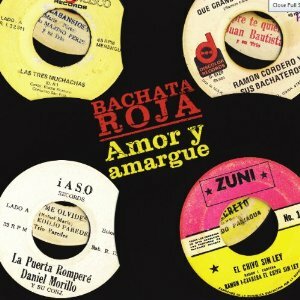 I have chosen a couple compilations of music that focus on bachata roots. 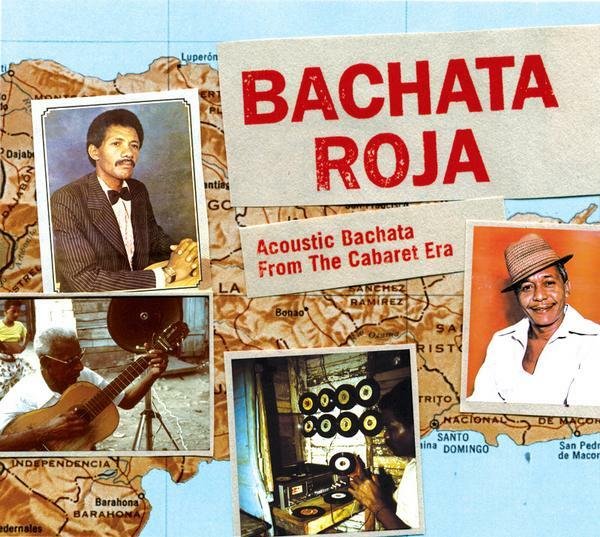 iASO Records has put out two CD’s which are a great place to start collecting music from the earlier years of bachata as it evolved from predecessor forms, such as bolero and son. 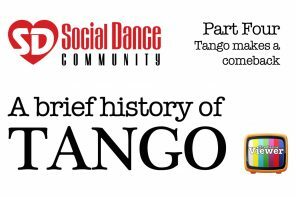 The relationship to bolero is easier for one’s mind to capture although son and other genres had their influence as well. These two albums provide a taste of the acoustic era of bachata. Personally there are pieces here that I refer to as bolero/bachata as the distinction is somewhat cloudy in both the rhythms and instrumentation. Some of the songs clearly will make one think that they don’t quite drive one into dancing bachata, some are clearly a departure from bolero and others jump out clearly as bolero in nature. I am not the one to dissect the intricacies of the dances versus the musical forms, just to point out some wonderful music, whether one dances to them or just listens to them. I find that music from the early bachata era can be relaxing to simply listen to at times, rather than dance, but that is for the beholder to choose at the moment. Both of the albums are available in CD or digital forms from various resources such as Amazon, iTunes, eMusic, CDBaby and others. I found them on Spotify but had trouble locating them on Pandora. Following are a list of a few of the tunes I enjoy. Paniagua – the slow tempo leans this song to the bolero feel bolero>bachata. Asesina – Juan Bautista – This is a well-known classic with a bachata feel. Ladrona (Album Version) – Felix Quintana – Many artists have sung this song. Felix Quintana’s version is one of the more well known. This cut smacks heavily of bolero to the point I often will find myself slipping into bolero steps when dancing to it. As noted, it has been recorded by many other artists and most recently released on the most Me Dicidi album of Joan Soriano, whose voice interpretation of the song can raise goose bumps. A Los 15 O 20 Tragos – slow tempo, though it has a feel (for me) that starts one thinking of bolero as the song continues it starts to have a bit more swing that makes me start to think more of bachata. Certainly one can feel this one to be on the fence of bolero/bachata. In this era when bolero and bachata begin to separate, one may feel the music on either side of the equation. Differentiation of energy/sections of the music are less clear or even absent at times leaving one with a similar rhythm and feel throughout the song. This leans away from later bachata that have distinct differences in feel of the sections of the music. If one is really interested in knowing more about bachata musicality, then I would encourage looking further into history and musicality workshops and teaching DVD’s/CD’s by some of the well known teachers of these subjects. 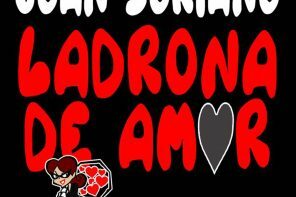 Ay Que Amor – Rafael Encarnacion. This cut brings out more guitar work with some occasional feel of flamenco style guitar. El Chivo Sin Ley – Isidro Cabrera, El Chivo Sin Ley – This number typifies a call and response style of song between the voice and the requinto. There are some YouTube cuts of El Chivo Sin Ley – Isidro Cabrera. Many are live performances. If one enjoys his style I would suggest looking these up and noticing his particular powerful style of voice projection that can drill through your chest…..check it out. La Cama Tiene Candela – Robin Carino – Haitan – up tempo where one starts to feel the swing. Many of Robin Carino’s songs lean toward up-tempos. Mi Muchachita – Luis Segura. What’s not to like about the feel of this song with the bass floor setting the foundation as Segura in his typical wailing style cries out the lyrics throughout the song. As I saw in a more recent interview of him, he underscores the need for bachata singers to sing with feeling …. listen to the way he comes across in such a way that he has been referred to as the “cry baby,” but don’t interpret the term as a one of criticism …. it is his style and he wrenches on your strings in his delivery at times. Lastly, Con El Amor No Se Juega, Augustus Santos closing the album with a more distinct bolero sounding piece that brings one back to the deeper roots. Listen to this music over and over and combine it with a little thirst to read some history of bachata and one begins to feel the basis of all bachata music that has followed from the acoustic era into the electronic era and even into the markedly different sounding bachata of the current era. There is a lot to learn about the history of music and how it evolves and changes through time. There will always be discussion, sometimes heated discussion, as music and it’s associated dance change into new forms. I will leave that behind in this column for that is an entirely different subject of discussion that can be very divisive. I go back to my personal viewpoint about resonance of music with the individual. Choices are individual and the intent here is to give people some ideas for listening and/or dancing to help broaden one’s exposure so each can make up their own mind as to what resonates with them. One does not necessarily need to agree with the viewpoints expressed. I look at it like this. We often buy a CD for perhaps only one or two songs that we know and appreciate and forget to listen to the other 10 songs or so. If we don’t we may not discover songs that we did not know even existed. Enjoy your pursuits of great music. DjRj (Ron Swarsen) lives in Denver, Colorado, where he has been an active player in support of the salsa scene as a dancer, Dj and supporter of live music. He has been Dj-ing since 2007 at various venues in Colorado including the Dnote, Avalon, Rio Grande, Salsa Central Denver, Opal MamboSoul, Colorado Springs venues, fund raisers, art museums, corporate events, outdoor sasla events, the Denver Salsa/Bachata Congress and Mambo Mondays. 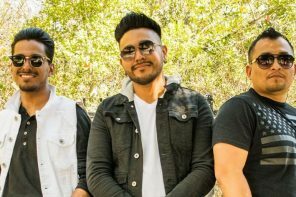 Outside of Denver, he has DJ’d at various congresses and festivals including the Reno Bachata Festival in 2012, 2013; Albuquerque Latin Dance Fesitval 2012, 2013, 2014; Dallas Bachata Festival; Bachata Festivals in the Dominican Republic and Washington DC Bachata Festival 2013, 2014 and 2015. He Dj’d for the Joan Soriano event in Washington DC in April 2013 and also DJ’d for Bachata 101 in NYC in 2014. Besides an extensive digital collection, he DJ’s vinyl nights as well. In 2012 and 2015 he brought Joan Soriano (bachata) and his band from the Dominican Republic for an event in Denver, Colorado. He also was involved in producing Tromboranga (salsa) from Barcelona, Spain in concert in Denver in 2015.